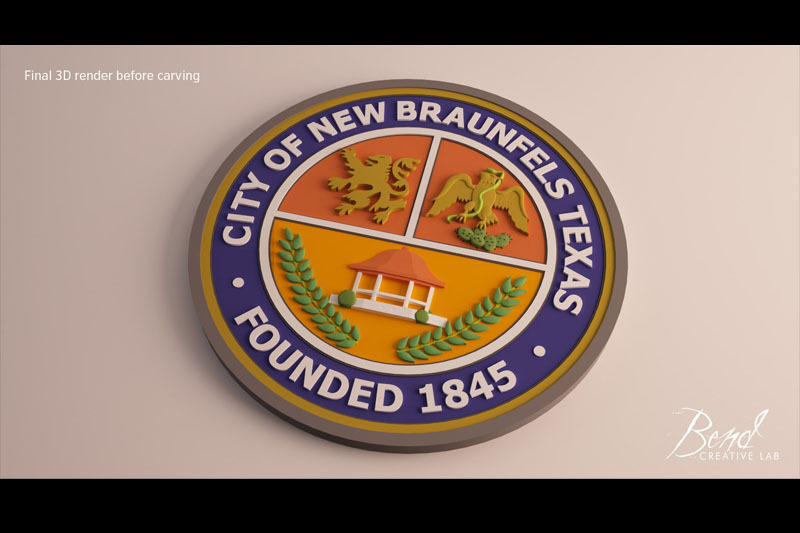 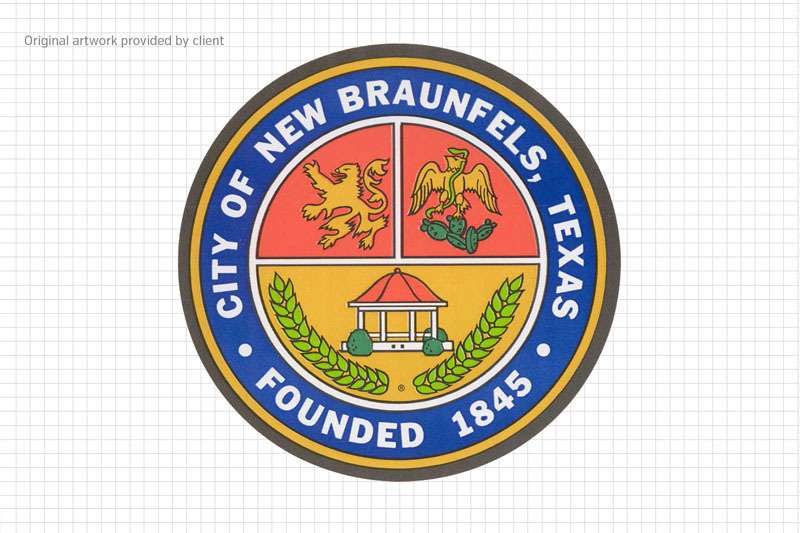 The original artwork provided by the City of New Braunfels. 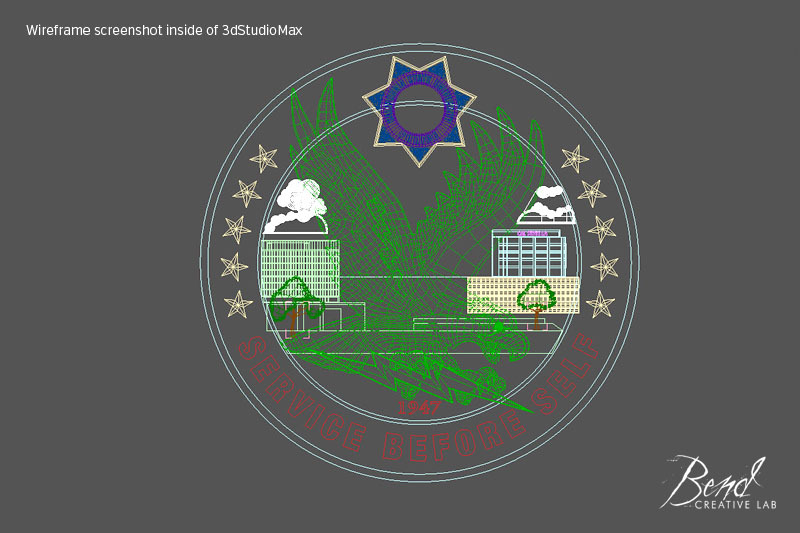 A wireframe screenshot showing detail inside of the 3ds Max program. 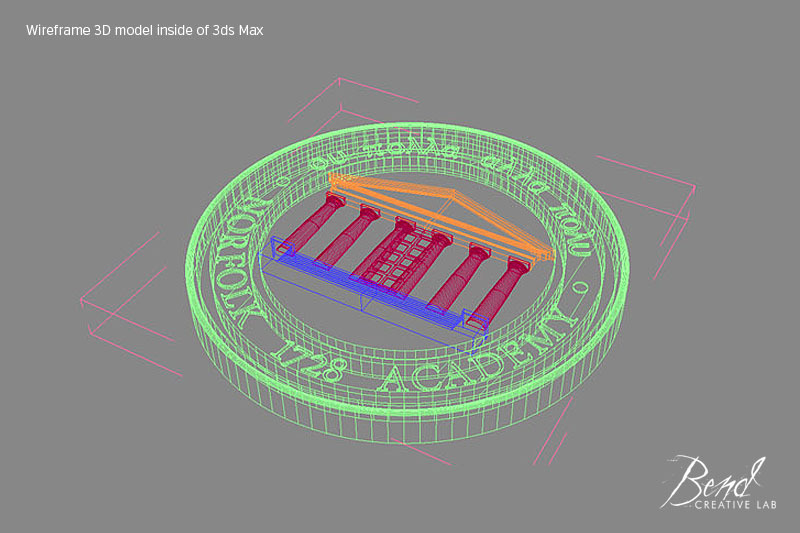 Final 3D model sent to client for CNC machine carving. 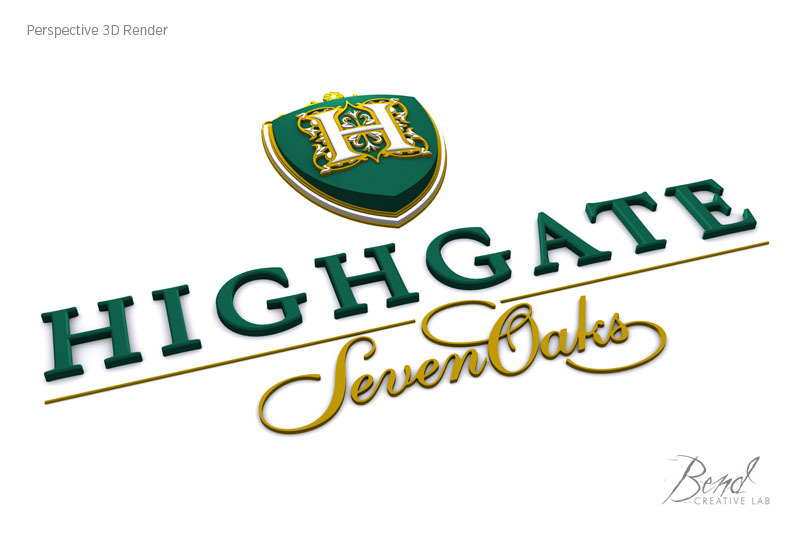 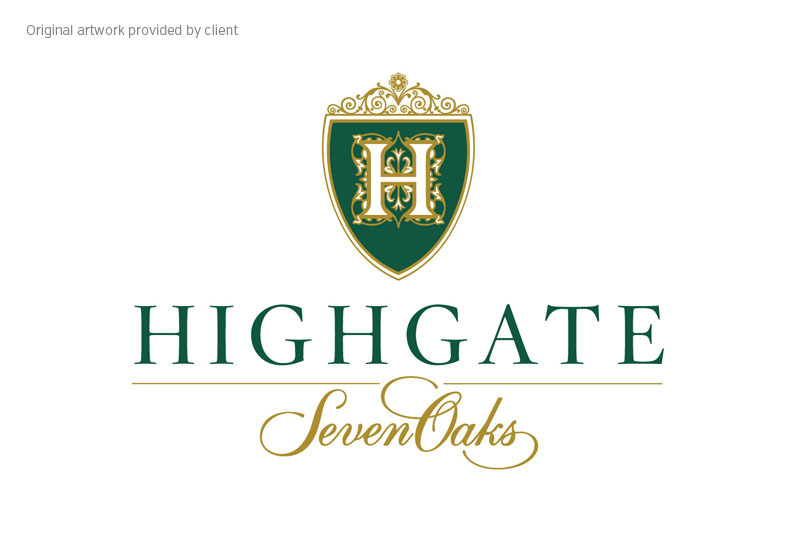 Original artwork provided by Castle & Cooke. 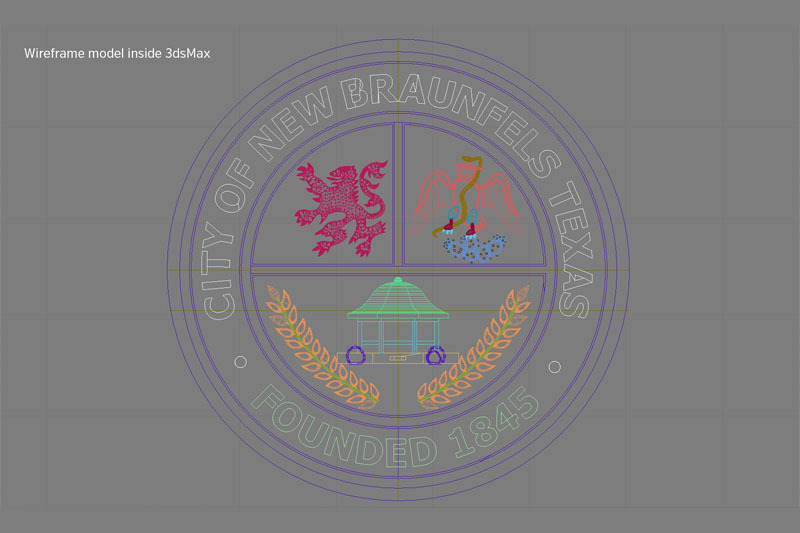 A vector file was used for accuracy. 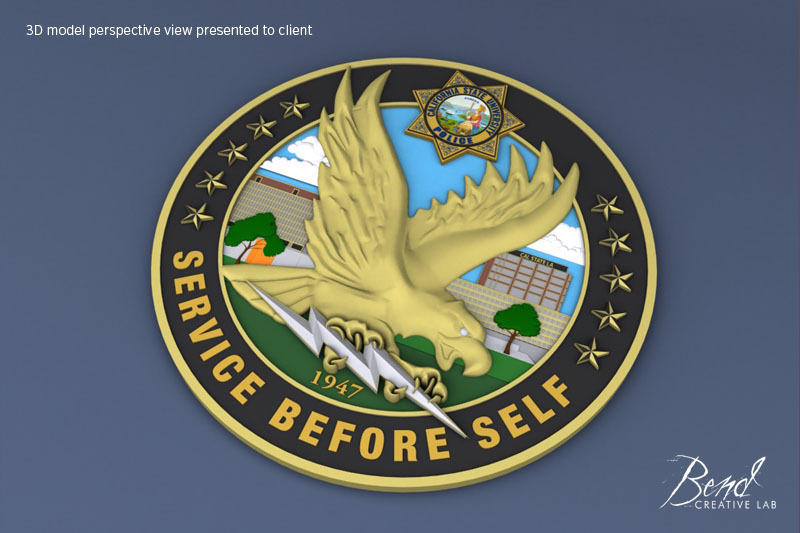 The 3D model was first rendered using a straight-on viewpoint to match the artwork file. 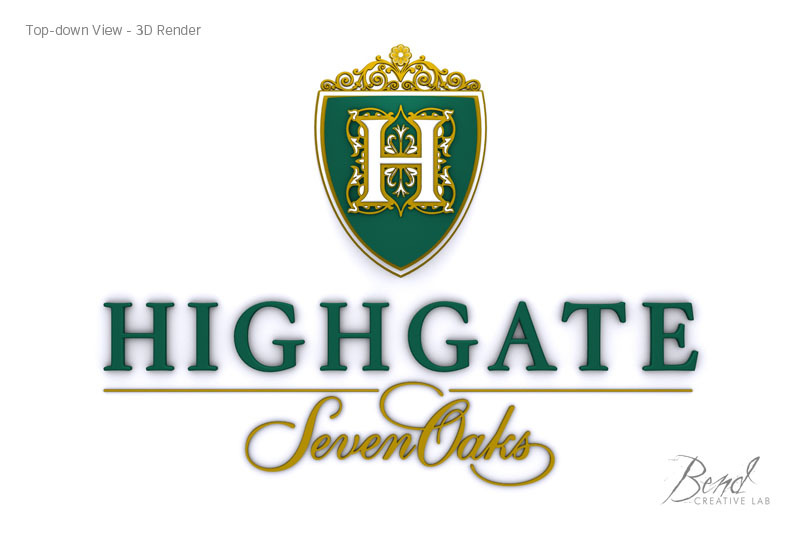 A perspective render was created to show depth and layering in the 3D file. 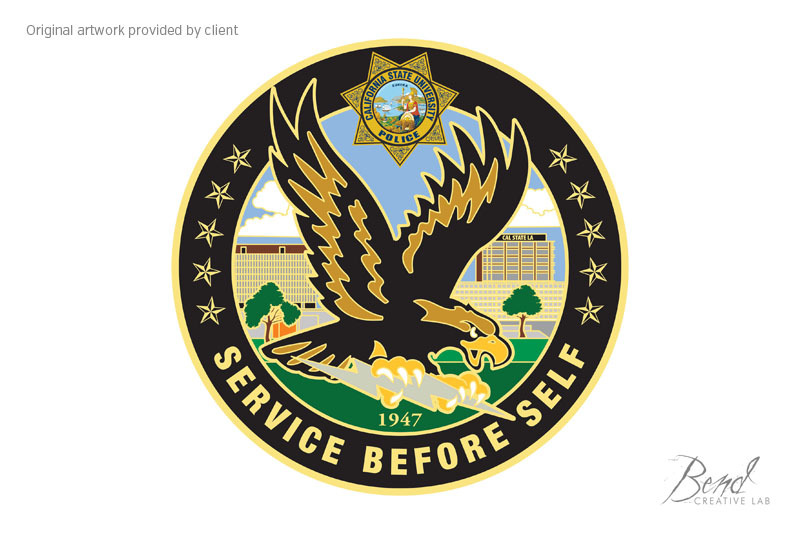 Original artwork provided by the California State University Los Angeles Police Department. 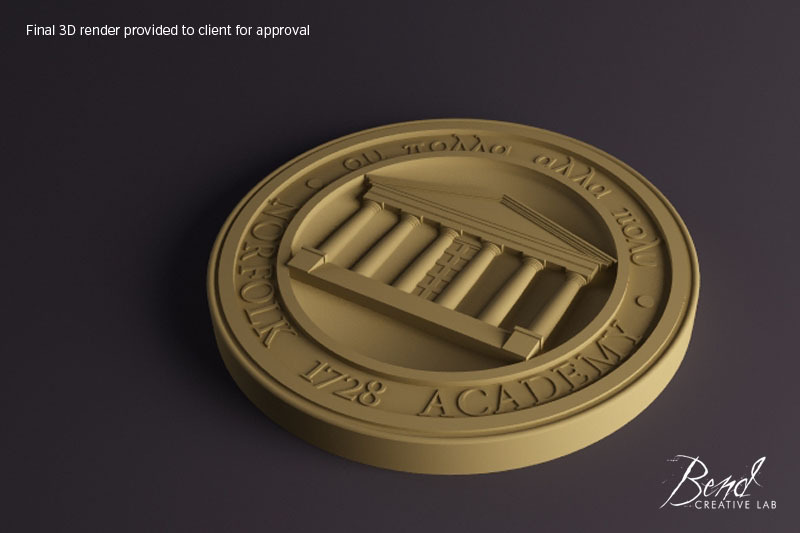 Final 3D model rendered in perspective view for client approval. 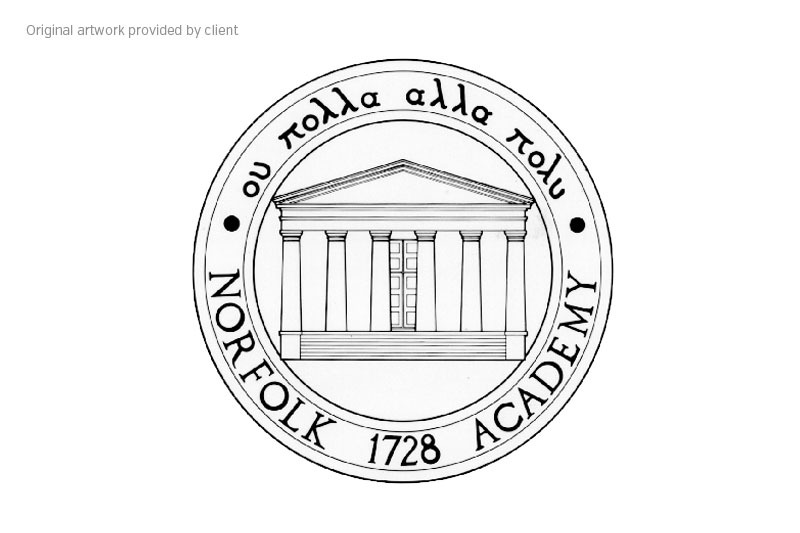 Original artwork provided by Norfolk Academy of Norfolk, Virginia.